Gesture is integral to human language. Its function within human communication is as much goal-directed, and subsequently as communicative, as is speech. Indeed, gesture and speech share the same cognitive, psychological and physiological roots. Although the study of gesture has reached maturity as a branch of scholarship which endorses a multidisciplinary approach to communication, and is now integral to many of the sciences (psychology, psycholinguistics and ethnology, among others), little attention has been paid in recent years to the phenomena involved – the communicative function of gesture in particular – from a strictly linguistic point of view. 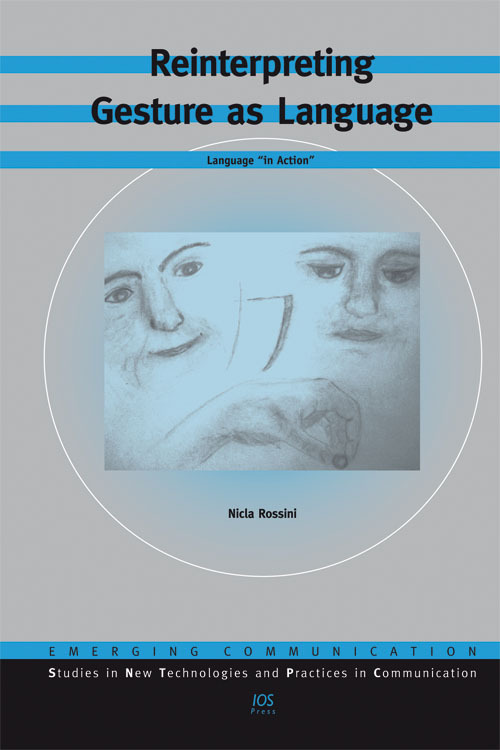 This book exploits a number of methodological instruments from the study of linguistics to restore gesture to its original position of importance within the field. The data presented here are analyzed as pieces of information that describe behavior, but which are also an integral part of the more complex phenomenon of human communication. Evidence is provided by means of experiments on hearing and deaf subjects, in addition to a review of the major findings about the use and function of gesture in situations of handicap, such as aphasia and blindness. The ideas proposed here are a result of the author’s long study and speculation on the role of gesture, both in communicative acts and with respect to language.